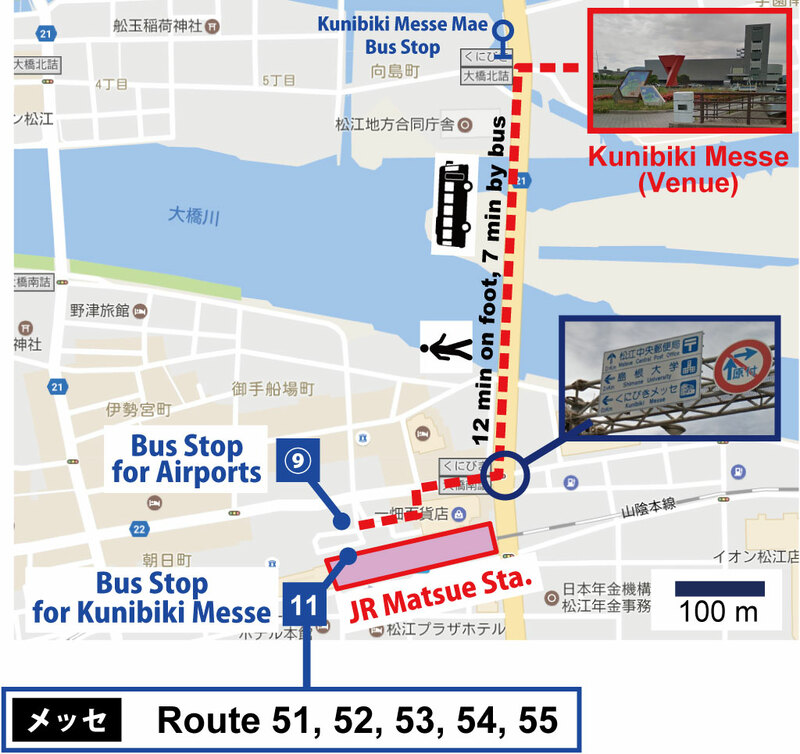 The venue, Kunibiki-messe, is located near JR Matsue station (about 7-10 min on foot). 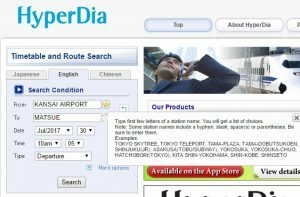 The nearest airport is Izumo airport, which is connected to Tokyo (Haneda), Osaka (Itami), and Fukuoka. It takes about 30 min from Izumo airport to Matsue station by an airport limousine bus. 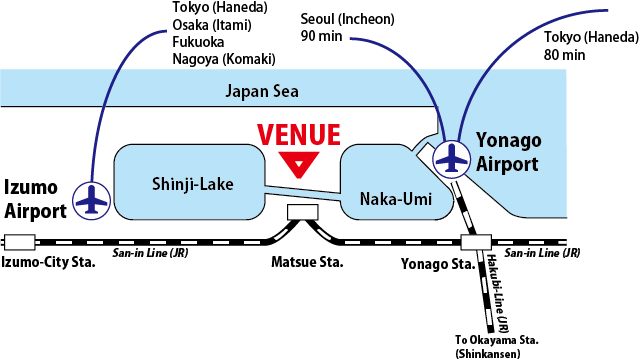 The second nearest airport is Yonago airport, which is in Tottori prefecture and is connected to Tokyo (Haneda) and Seoul (Incheon). It takes about 45 min from Yonago airport to Matsue station by an airport limousine bus. The nearest Shinkansen station is Okayama station, but it takes about 2 hr 40 min from Okayama station to Yonago station by JR Hakubi-Line. The typical route from Osaka is: Shin-Osaka – (Shinkan-sen, 45 min) -> JR Okayama – (Hakubi-line, Limited Express Yakumo, 2 hr 40 min) -> Matsue. The fare is about JPY 10,000. Please be aware that the rail route of Hakubi-line is in the mountainous region. Highway bus lines are operated by Ichihata Bus Corp. and a reservation is necessary. However, the reservation website is Japanese version only. We don’t know how to make a reservation from oversea. For your info, it takes about 12.5 hr from Tokyo to Matsue (overnight bus), 5.5 hr from Osaka to Matsue (daytime bus), and 9 hr from Osaka to Matsue (overnight bus). 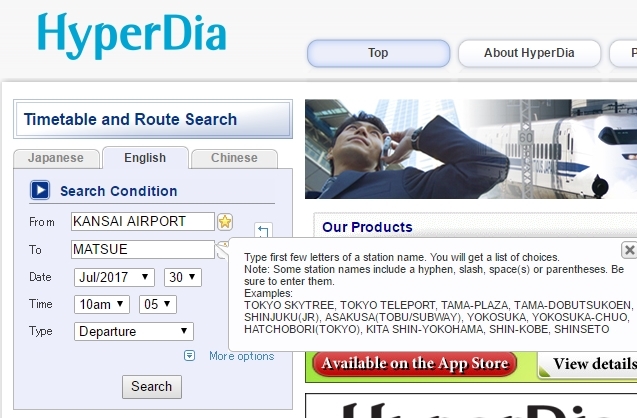 Timetable and route search in English and Chinese is available on “HyperDia” web page.